An untrue email story, which has since exploded on social media, claims that during Hanoi Jane Fonda's 1972 visit to North Vietnam, several POWs secretly handed notes to her, including their Social Security Numbers, which she immediately handed over to their captors, resulting in torture and death for some POWs. The men whose names are used in the story as the sources of this information categorically deny it, and insist that their names and identities were misappropriated by unknown persons and attached to this piece of hateful fantasy in an attempt to give it some credibility. NAM-POWs, an organization of U.S. service members held as prisoners of war in North Viet Nam, has tried for many years to set the record straight with regard to this story about "Hanoi Jane" Fonda's activities during her 1972 visit to North Vietnam. There is no love lost between Vietnam Vets and Ms. Fonda, but they want the world to know that, while they believe strongly that her anti-war activities made her a traitor, she did not do what this particular story accuses her of doing. There is no truth to the story. The story has been circulating via e-mail since Barbara Walters honored Ms. Fonda in her 1999 television special, "A Celebration: 100 Years of Great Women." Numerous Vietnam vets and their families, as well as many others, were outraged that Ms. Fonda was honored as a "great woman" of the Twentieth Century. In the outrage that followed, unfortunately many people repeated this untrue story as true. With the recent death of U.S. Senator and former POW John McCain, this story has reared its ugly head again in an attempt to besmirch the character of Senator McCain. We are here to once again squelch the rumors and ask that if you've repeated it, please correct it to those with whom you shared it. Please disseminate this info far and wide. It is tragic to see this courageous warrior and public servant maligned with lies once again, particularly while his family is grieving his loss. We're going to step aside now and turn this page over to the former president of NAM-POWs, Mike McGrath, who explains this situation far better than we could. "I thought you needed to see a message that I sent to some folks who were establishing web pages with completely false stories which had been submitted to them as true stories. They agreed to stop after learning that they had received bogus information. NAM-POW names of: Jerry Driscoll, Larry Carrigan, and A.J. Myers have been connected, falsely, with the below stories. If any of you see these false stories passed around the net from group to group, please send a copy of this message to the sender and try to get this nonsense and slander of McCain, Driscoll, Carrigan, and A.J stopped. (1) There is a bogus story floating around about Larry Carrigan, Jane Fonda, torture of POWs, death of POWs, strips of paper, notes given to Jane, etc. I just thought you should know that this is all bull crap propagated by someone for some unknown purpose....probably to bolster some hate against the traitorous witch. I'm not defending her, we all hate her as much as the next person, but you need to get your stories straight. Jerry Driscoll is my Secretary/Treasurer. I just talked to him. Same for A.J. Myers. They had nothing to do with the article attributed to them. They ask that we get their names off that bunch of crap. Tonight I talked with Larry Carrigan. He asked that we get his name off all that crap as well. He never left a room to talk to anyone like that. No torture or beatings to see Fonda. He was living with Bud Day, John McCain and a bunch of hard nosed resistors during the Fonda visit...lots of witnesses if you want to question him (or them). Larry was never near Jane. That story about the notes has a nice theatric touch, but no such thing ever happened. The only ones who met with Jane willingly, to my knowledge, were CDR Gene Wilber and LCOL Ed Miller. One NAM-POW was forced to go before the Fonda delegation. And I think that was only to sit at a table for a photo opportunity. I doubt he even got a chance to talk to her let alone slip her a note. To my knowledge, the worst that happened to the rest of us was that we had to listen to the camp radio (Radio Hanoi and Hanoi Hannah) with the Fonda propaganda. It pissed us off, but I doubt you can call that "torture." So, if you get a chance to SHUT THIS STORY DOWN to the groups who are forwarding it, PLEASE DO SO. You can cut and paste this paragraph if you want to. Doubters can come to me if they need to. (2) Next, the false stories of John McCain's conduct. Again, there are false stories floating around the net about McCain. He was never missing from our group for six months. He never co-operated with the enemy. We have dozens of us who lived with and around John for his entire time (10-26-67 to 14 March 73). Larry Carrigan, for one, lived with or near both John and Ted Guy. Larry says Ted would never make the statements which are being attributed to him ...and Ted can't set the record straight because he is dead. We have dozens of roommates who will vouch for the loyalty and courage and conduct of John McCain. Here is a more accurate story: John had both arms and at least one leg badly hurt on ejection. He was bayoneted near the groin by a soldier as they were pulling him from the lake. After three days of interrogations and no cooperation, he was near death. They found out his father was Admiral McCain. They stopped the interrogations, gave him medical care, brought in a French reporter (with camera), and let him make a statement to his family that he was alive and would recover and come home. After laying off the rough stuff, and trying to get John to cooperate by the "good guy" treatment for a couple of weeks, they got pissed off that he would not give information or cooperate. So, they threw him in a cell with Bud Day (MOH recipient) and Maj Norris Overly. McCain was in danger of dying from maltreatment. Maj Overly had to nurse both men back to health. From that point on, McCain resisted just as hard as any other POW. He went through the same interrogations and treatment. His roommates can testify to his valor and patriotism. In short, I think that the slanderous reports by faceless people (and some are attributed to Ted Guy...which I doubt are true) are from the bunch who are really pissed off that McCain made a political decision to back Clinton when Clinton decided it was time for "normalization" of diplomatic and trade relations, and it was time to have Ambassadorial level representation. To many, that made John a traitor. To most, it was just a political reality. It opened the door to better cooperation for a host of areas, including a full accounting of the POW/MIA issue (which is still an ongoing issue today. We have 2,060 yet to account for). If you want to get the straight story on McCain's conduct, please contact his roommates. Start with the Honorable Orson Swindle at OrsonIII [at] aol.com. Thanks for helping shut down these Phony stories. Again, you can copy this paragraph if it will help. Bottom line: Who are these guys who pretend to know who the POWs are, what we are, how we think and thought, how we conducted ourselves, what we said, what we did, or why we did whatever? There are over 50 books written by or about us which pretty much detail our ordeal. For book list, see our web site at: www.nampows.org. If that isn't enough, please contact us personally and get the straight story. Over 280 of our e-mail addresses are on the NAM-POW web site. We also list the 300 or so Phony POWs on the Hall of Shame. But please don't attribute anything to us that is not verified. For those with a genuine interest to find out about us, I suggest you get a very recently released book, 700 pages of hard hitting researched reality, "Honor Bound", by Frederick Kiley and Stuart Rochester (recently nominated for a Pulitzer for this work). This by far is the most comprehensive work ever done on our ordeal. Do you want to find out the truth about the Cuban Program, the torture, the brutality, etc. Just pick up your phone and call the Naval Institute at: 1-800-233-8764. Read this book first, then we'll talk to you about real POW experiences in Hanoi... not false stories of Hanoi." You can find more information at the NAM POWs site. 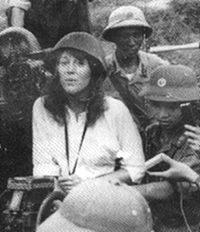 History Repeats Itself - a discussion of "Hanoi Jane" Fonda's visit to North Vietnam. Vietnam Veterans Facts - where we do some myth-busting. Return to top of NAM-POWs Set the Record Straight.